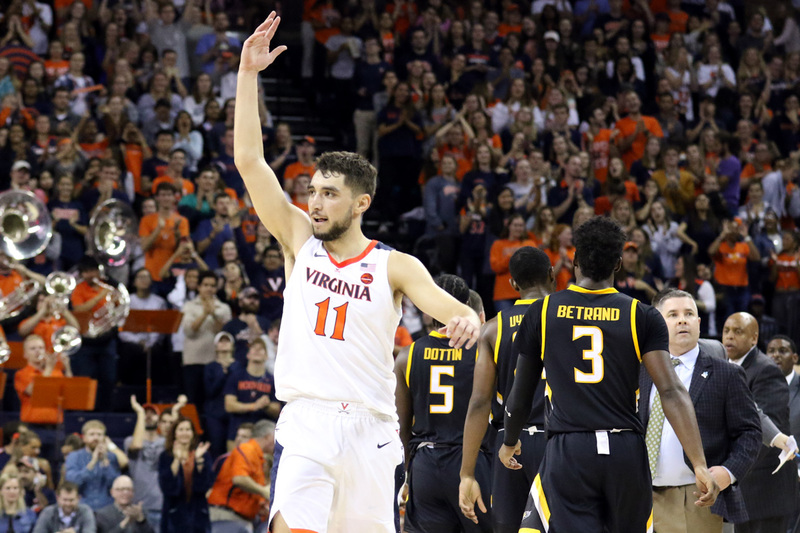 The Virginia basketball team opened the season’s second month the same way as the first: with a blowout win. The Cavaliers improved to 8-0 Monday with their 83-45 victory against Morgan State and all 13 players that saw action scored. The latest win sets up an in-state showdown with VCU on Sunday. The Rams are coming in off a win at Texas that pushed their record to 7-2. The two losses came against St. John’s in Brooklyn and at ODU. Before that game arrives Sunday, however, TheSabre.com is happy to bring back an old feature for the rest of the season. Thanks to presenting sponsor AskLandis, we’ll answer some UVA questions each week. AskLandis is your full-service turn-key solution to help take back your home. From downsizing and decluttering to staging and moving and storage, they do it all. Why call five to 10 different companies when you can use just one? Give AskLandis a shot at your business. With eight games in the books, here are a few questions to reboot the “Ask The Sabre” feature. Sabre Editor Kris Wright, Sabre Associate Editor Chris Horne, and AskLandis’ Brandon Lloyd provide their answers. Sabre Editor Kris Wright: First, a little context. At this point in the season, 40% of the Hoos’ shots have come from 3-point range. That’s 135th nationally among 353 teams. That’s up from 35% and 244th nationally last season, from 33% and 252nd nationally in 2016-2017, 28.4% and 322nd nationally in 2015-2016, and 27.5% and 318th nationally in 2014-2015. So, yeah, there’s a trend. That mirrors the 3-point shooting expansion at many levels of basketball, from the pro ranks on down too. OK, so now the question. Is the increased volume deliberate? I’d say yes. UVA is spacing the floor more with more small ball type line-ups and using more ball screens than before, which can lead to more kickout passes to spot-up 3’s. Plus, the personnel recruited to fit on this roster right now were targeted in part because of their shooting ability. That’s certainly true of Kyle Guy, Ty Jerome, and De’Andre Hunter. And those three are taking most of the 3’s – 112 of the 174, which is roughly 64% of the total. That’s all by design because, well, all three players are making them 42.9% of the time or better. That’s smart strategy. The here to stay part? I’d say certainly this season and likely again next season if at least two of those three players return. Once all three move on, whether that’s sooner or later, the longevity of the long ball will depend on who steps into roles. That depends on not only some current guys like Marco Anthony and Kody Stattmann and where their futures go, but also some future players as well. So, I’ll give this a solid “maybe” for now. Brandon Lloyd: I don’t really think it is a “significant” increase in 3-point attempts. UVA is currently averaging about four more attempts per game compared to this point in the season last year. Guy and Jerome are shooting the ball with confidence and add Hunter into the mix shooting the percentage he is from deep. The willingness to shoot the ball has a direct correlation with confidence and the flow of the game. This could definitely change moving forward in the season, however. Sabre Editor Kris Wright: I’m not sure how the rotation will shake out over the long run. I think the first seven of Ty Jerome, Kyle Guy, De’Andre Hunter, Jack Salt, Kihei Clark, Mamadi Diakite, and Braxton Key are going to play every night and the first three are going to play heavy minutes when the tougher games roll around. Salt will play heavy minutes in some matchups, but maybe not as heavy in others. So, I think the expanded rotation question comes down to the other three. Does Clark continue to hold up and play well against ACC competition? At almost 28 minutes a night? Do ACC teams figure out how to use his modest to below average shooting percentages to date against him? Does he get isolated on defense? There are still plenty of questions to learn the answers to with Clark. Diakite, meanwhile, has been in that league spotlight before and played well in a lot of them. He’s been out of sorts lately, but does he get back on stable footing and give the team what he had going late last season? Do foul troubles continue? He may be the biggest key to minutes distribution, particularly for Key and Huff. Why? Simply put, if Diakite can’t gobble up some post minutes against ACC teams, then it seems like one of those two will have to help fill the void. Key continues to settle in and his immediate attack on rebounds against Morgan State was a positive sign in my opinion. So, I think he’ll be taking plenty of turns in ACC play. Beyond that, I think Anthony and Huff get situational minutes based on conference matchup to get to eight players in conference play. Sabre Associate Editor Chris Horne: I think Bennett would love to have players such as Anthony and Huff in consistent roles off the bench, but that’s just not where the team is at this point. I don’t see it changing by the time ACC play starts, so I think Bennett will go with the 7-man rotation – Key and Diakite as the primary bench players – and play others depending on the matchups. I absolutely think it’s possible that the rotation expands as the season goes on, but again that depends on the play of Anthony and/or Huff. Brandon Lloyd: I asked Coach Bennett about this after Monday’s game against Morgan State and he said they have a definite 7 or 8 right now but will definitely need guys like Kody Stattmann, Marco Anthony, and Jay Huff moving forward. It has been in Tony’s DNA to shorten the rotation when ACC play starts, but certain matchups also dictate who he will play. Some games Anthony may see time where Huff and Stattmann do not. For the most part though, the seven of Kihei Clark, Kyle Guy, Ty Jerome, De’Andre Hunter, Jack Salt, Braxton Key, and Mamadi Diakite will get the bulk of the minutes come January. Sabre Editor Kris Wright: Not particularly. Eight with a ninth player in situational duty seems ideal, but UVA is just one player off from there right now. So that’s not an alarm bells sort of situation to me. The bigger question is whether the Diakite or Key (or Clark if the starting lineup shuffles again) can provide a little more scoring punch as a sub. Otherwise, there’s going to be a lot of pressure on the big three to produce every single night as starters in starter-heavy minutes. Hunter, Jerome, and Guy each averaged double figures right now, but what happens if a team manages to take one of the three out of the game with a defensive scheme or a specific defender? There’s a big drop-off in scoring punch from Guy’s 13.3 points to Key’s 6.4. Someone among the bench rotation is likely going to need to step up in some games to provide a lift on the scoreboard. Sabre Associate Editor Chris Horne: Am I concerned about the bench? No. Am I feeling fantastic about the bench? No. I like the move of bringing Key off the bench, although I wonder if it has been an adjustment for him considering he started the majority of his games at Alabama. He may still be getting a feel for the sixth-man role. Ultimately, I think he’ll settle in and give Virginia some nice versatility, poise, and consistency in that role. Defense may be a concern throughout the year as he is learning the Pack Line on the fly, but Key has a good basketball IQ and should get better. As for others, Mamadi Diakite remains an X-factor. Virginia needs contributions from him on both ends, but the consistency just hasn’t been there so far. I think he’ll rebound and at least be able to perform the way he did toward the end of last year. If he doesn’t, that will be a concern. I like the steadiness and toughness I’ve seen from Marco Anthony in the past two games, and I think Jay Huff has shown some things, but right now neither is a proven commodity off the bench. So there are questions for sure, but it’s too early for me to say I’m concerned. Brandon Lloyd: I think you always have to be concerned with depth when you’re only playing six or seven guys consistently. Especially with Clark starting now and playing significant minutes, you have to figure he will wear down at some point in the season. Every team will be going through the same thing though, so you have to rely on seasoned guys like Guy and Jerome to push the rest of the team once we get into February and March. Sabre Editor Kris Wright: Player wise, there are other choices perhaps, but I’m going with Ty Jerome. He’s been really, really good so far. He looks to be in the best physical condition of his career – stronger, quicker, smoother – and he’s delivering the goods too. Plus, a lot of categories show an increase from last season. Those are going to level out some more thank likely with improving competition, but Jerome has been great so far. That’s been easy to gloss over with how De’Andre Hunter has started, Kihei Clark’s debut, and so forth. Team wise, it’s got to be the defense. We’re all spoiled on that front because it’s not like the defense so far has been a disaster, but there are some breakdowns happening that we’re not used to seeing and UVA isn’t finishing off some possessions with rebounds. Sabre Associate Editor Chris Horne: Given his performance in the latter part of last season, I felt Mamadi Diakite was in store for a breakout year as a redshirt junior. 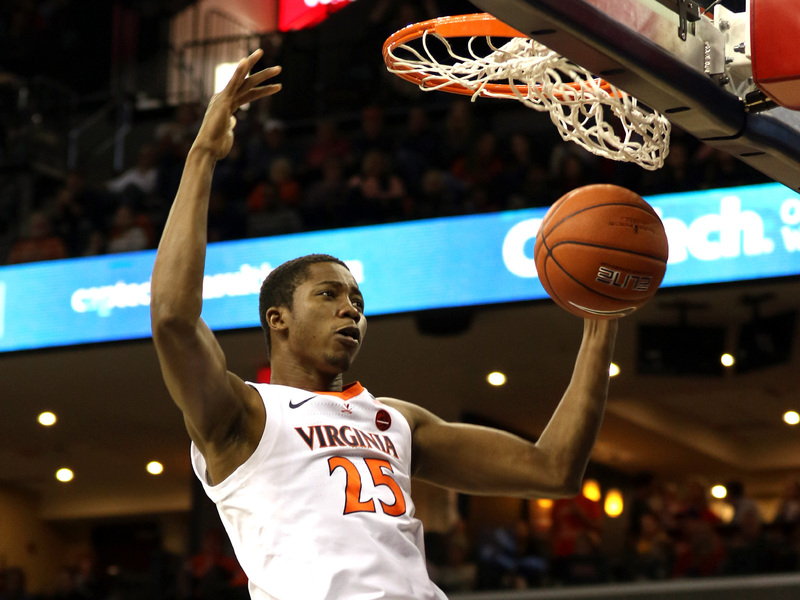 It’s early, but so far Diakite has not built off the strides he made last season. He has had some moments, scoring 18 points on 7-of-9 shooting against Coppin State and providing a spark against Wisconsin with six points, including four key second-half points when the Cavaliers were struggling to score. His decision-making on defense has been the biggest disappointment for me, as Diakite continues to pick up silly fouls. The good news is that there is plenty of time left in the season, but certainly my expectations were higher for him coming out of the gate. On the plus side, there is Kihei Clark. I knew Clark was quick, but I underestimated just how quick he is. This, coupled with his anticipation and IQ, have given the Cavalier defense a nice spark. From a general perspective, Clark’s performance to date has been a pleasant surprise. I certainly didn’t see him establishing such an important role this year. I love his fight and the fact that he has not backed down from any challenges he has faced so far. Brandon Lloyd: My biggest surprise this season so far has to be what Kihei Clark has brought to this team. I knew he would see playing time this season, but had no clue he would be playing as many minutes as he has, much less in the starting lineup after five games. His tenacity on the defensive end and ability to handle the ball are both huge reasons why Coach Bennett recruited him so hard even though his size was always questioned. His shot will improve and he has shown that he isn’t shy shooting the ball, which I also like. The competition obviously is about to ramp up so I’m interested to see how he handles top-notch opponents, even starting Sunday with VCU. We will get a glimpse of how well he can handle the basketball against VCU’s defense. Sabre Editor Kris Wright: OK, I threw this one in there so I could embed the UVA holiday video. If you haven’t seen it, there are several athletic department cameos.